Branch Officers - Welcome to the Arlington, TX NAACP! ﻿Alisa L. Simmons is in her third term as president of the Arlington Branch of the NAACP. She is ardently committed to working to eliminate racial discrimination and to ensuring the political, educational, social, and economic equality of rights for the marginalized and disenfranchised in Arlington. An engaged community volunteer, Simmons civic involvement is extensive. She has served on the City of Arlington Comprehensive Plan Advisory Committee, former chair of the City of Arlington Library Advisory Board, former member of the board of the Chisholm Trail Chapter of the American Red Cross and the Parenting Center Board of Directors. She was a longtime member of the YMCA of Arlington Board of Directors and various Arlington ISD volunteer committees. Simmons is also a graduate of Leadership Arlington. In addition, she sits on the executive committee of the Texas State Conference of NAACP. Professionally, Simmons is owner of DJ’s Print and Promo, a promotional products, printing & apparel distributorship; a company she acquired after an 18-year public relations career as Marketing and Communications manager for the Tarrant County 9-1-1 District. Simmons is a member of the Arlington graduate chapter of Alpha Kappa Alpha Sorority, Inc. and former Executive Director of her sorority’s foundation, the Arlington Foundation for Excellence in Education. She is a member of The Church on the Move Ministries in Grand Prairie. She has two adult sons. Duane L. Braxton earned a BBA in Business Administration from the Virginia State University. He is a Human Resources Specialist with the Department of the Army. Duane is Life Member of Blacks In Government (BIG), having served in many leadership roles in that organization including Regional Director on the National Board of Directors, Regional Council President, Region VI, and Chapter President of the North Texas Chapter. ​He is a member of Kappa Alpha Psi Fraternity and attends One Community Church in Plano. 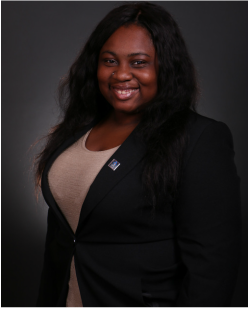 Shunkecia Lewis is the Chair of the Communications Committee and Co-Chair of the ACT-SO Committee. Currently, she is Website Consultant at DexYP, where she builds and designs websites for small/medium sized businesses. She is also a volunteer for Girls Inc, Dallas Life Shelter and the Sandbranch Community while also creating volunteer opportunities supporting misplaced women and children in DFW communities. She holds a B.A. in Communication with a focus on Public Relations and English. She is a member of the National Association for Colored Women's Clubs, Phi Theta Kappa Honor Society, and Kappa Tau Alpha National Honor Society. She held many leadership positions including Social and Networking Chair for the Women in Leadership Cohort, Center for African American Studies Emerging Scholar and Leader, and Leaders Educating About Diversity Ambassador. She is also a part of the Obama Foundation Community Leadership Days and is involved in the national 2019 NAACP Next Generation Program (NEXTGEN). She is a member of the Marsalis Avenue Missionary Baptist Church in Dallas, Texas. Jason Thomas is currently a Capital Projects Manager with Trinity Industries. Cheryl Rose is a retired Arlington ISD teacher and administrator where she last served as Director of Dropout Prevention. Cheryl has a B.S. degree in Business Education from Wiley College and a M.S. in Education from the University of North Texas. Cheryl is a volunteer with AISD Education Foundation. She is also a deaconess at Mt. Olive Baptist Church and a volunteer teacher at Water From The Rock, Mt. Olive’s outreach program. Cheryl is a member of Arlington Retired Teachers Association and Delta Sigma Theta Sorority. ​Karl Warren currently works for Dallas County (Criminal Justice) as a Sr. System Analyst supporting the Dallas County Sheriff, the DA, and Public Defender programs. He is a graduate of Southern University. 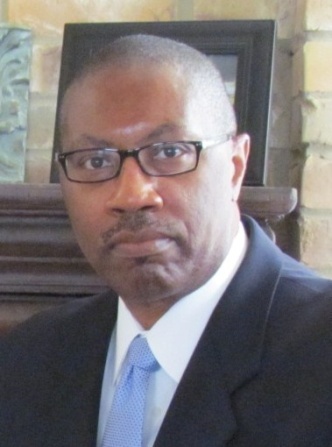 Karl is active in the Arlington community; serves on the Arlington Teen Court Board, Director of Bigger and Better Business for the Iota Mu Sigma Chapter – Phi Beta Sigma Fraternity and the Southern University Alumni-Dallas Chapter. Karl is an active member of the Mt. Olive Baptist Church.